PT Yamaha Motor Parts Manufacturing Indonesia is a foremost automotive component manufacturing company in Indonesia. The Company provides high quality products in motorcycle component for Yamaha in Indonesia. PT Yamaha Motor Parts Manufacturing Indonesia - YPMI also exported its products to several overseas countries, such as Malaysia, Thailand, Japan, and China. 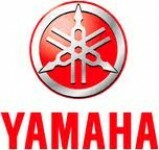 The Company was established in 1996 and operates as a member of Yamaha Motor Co Ltd, a Japan based automotive company. The Company is based in Kawasan Industri KIIC Karawang West Java (head office and production facilities). The Company manufactures 4 main products, including gear & axle (G&A), head cylinder (H/C), casting wheel (C/W) & casting wheel gravity, and forged piston. As of 2011, YPMI supported by more than 5,000 dedicated human resources. Female / Male, max 26 years old. Excellent knowledge on UU 13 thn 2003, Labor law, Labour Agreement.